Like so many drivers of his era, Adam Macrow took the instant path from Formula Ford champion to Supercars, though success came in sporadic doses. From making his debut with a Formula 1 world champion to Bathurst podium finisher and late-race heartbreak on the Mountain, Macrow saw the highs and lows in a decade-long stint at the top level of the sport. While his Supercars driving career has come to end, Macrow recently found himself back in a racecar at the Bathurst 12 Hour and found time to chat to Supercars.com in the latest instalment of Saturday Sleuthing. You haven’t raced a Supercar since the 2008 endurance races. What has the past 10 years been like for Adam Macrow? I had a family after Supercars so that kept me on my toes and forced me to go and earn some proper money. I started my own go-kart business in 2009, which was super successful and I loved every minute of it. 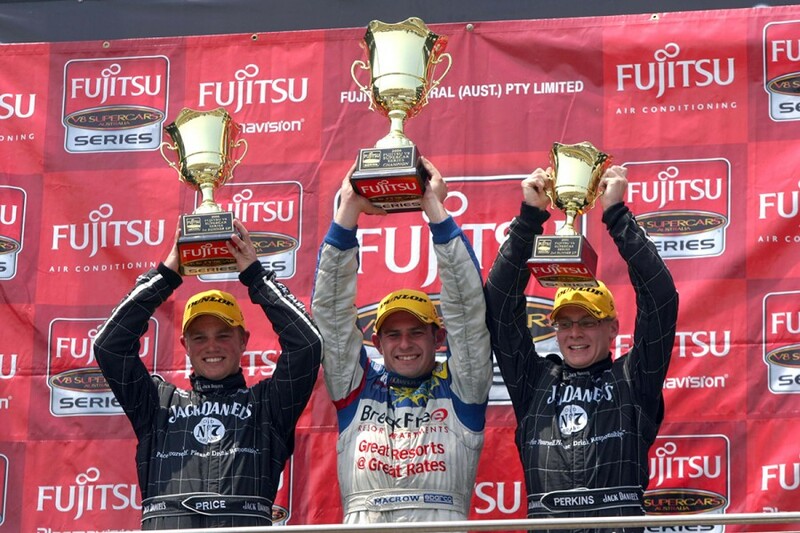 I trained lots of drivers who have gone onto bigger and better things, including Matt Brabham. I spent a lot of time working with him, so it’s nice to see him up on the big stage now. Unfortunately some family issues at the end of 2016 meant the end of the kart business because I just couldn’t be away every weekend - the karting game is relentless. Since then I’ve dabbled in the Hyundai Excel Series, which is really a grass-roots circuit racing category, and it’s funny; a lot of those guys that I’ve been in touch with are my old customers out of karting. I’ve built a couple of those cars, having some fun and helping some young kids with the transition into circuit racing. I’ve also been doing some driver development coaching with the Borland Formula Ford team and again, there were a few of the drivers there who I’d had through my kart team. It’s nice to see those guys come up through the ranks and achieve their dreams. You raced Formula Ford for a couple of seasons before winning the 1998 national crown. Tony Longhurst’s Supercars team picked you up straight away, giving you the drive with Alan Jones in its second Falcon entry for that year’s enduros. It was great. I moved from Melbourne to the Gold Coast and lived with Tony for a while. We did a bit of testing, and back then, they were nice and grippy tyres so the cars were great to drive. 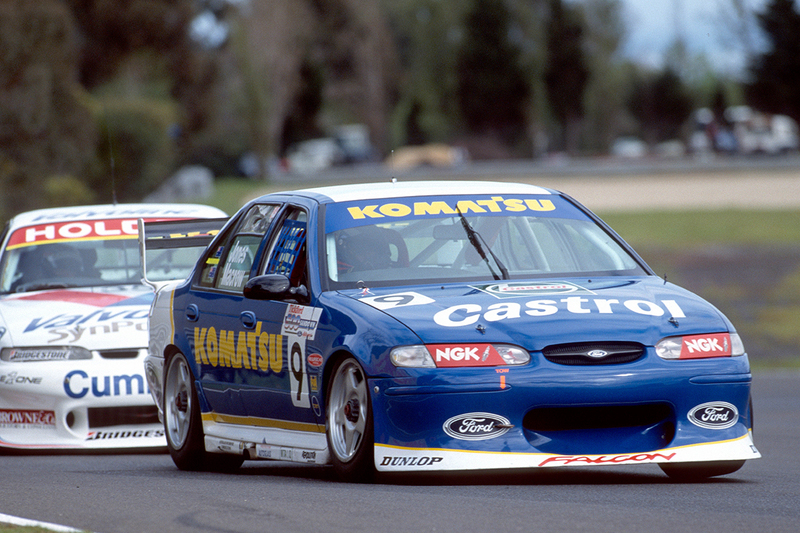 At Sandown in ’98 we had a good run, but AJ broke a tailshaft at the start, so I didn’t get to drive. At Bathurst, I didn’t get any laps either because AJ was involved in that big pile-up at Forrest’s Elbow early in the race. But it was an amazing experience. I don’t remember being nervous. I’d had a few good test days, so I felt prepared. 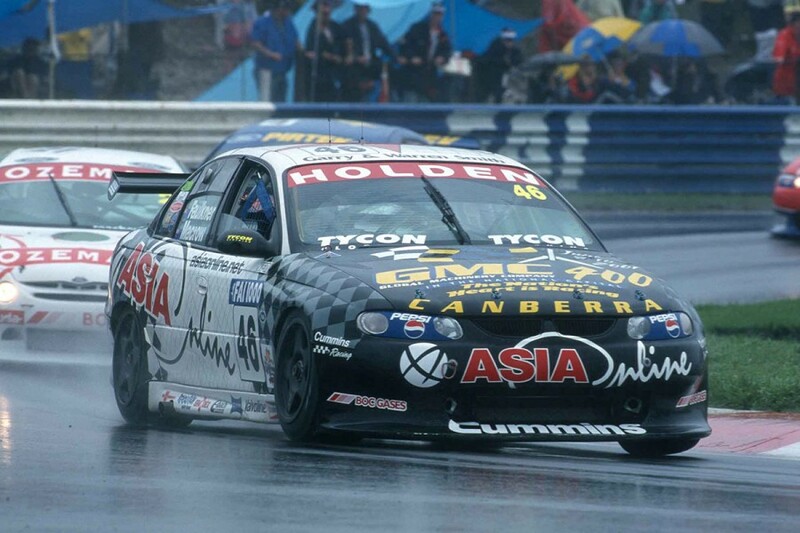 I do remember Tony getting upset with me on the Friday at Bathurst – he yelled at me for going too fast! I’d done a 2m13.5s in my second session and he got a bit upset, telling me to slow down. That stuck in my head for a while. I felt it was the natural progression. I’d done my duties in Formula Ford with three years under the guidance of Mike Borland, who was really good at creating good race drivers and extracting the most out of you. It was a big step [going from Formula Ford to Supercars], but it wasn’t an unnatural feel. It felt right, I jumped in and did the best I could, and it was good enough for Tony to put me in his car for the next year. 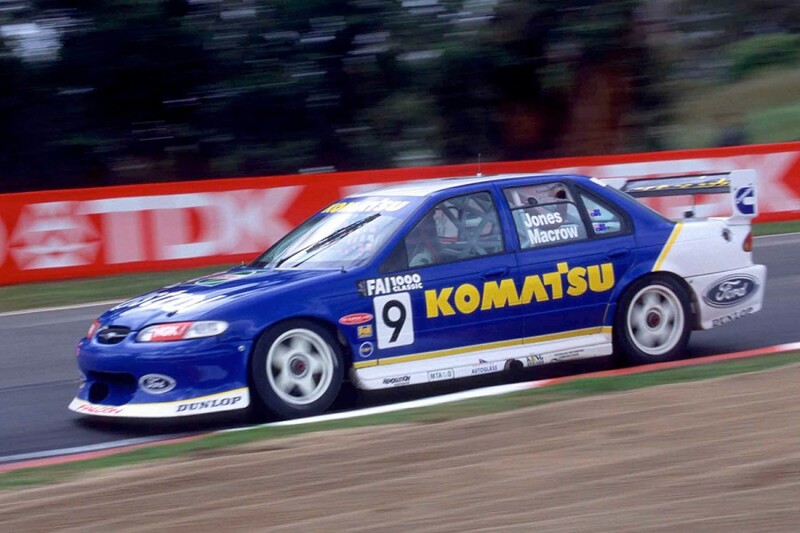 In 2000 you drove with John Faulkner in his privateer team, but ultimately played a part in the Bathurst outcome after a clash with Longhurst, who was leading, late in the race. Yeah, he tried to pass me on the right-hand side of the road at the right-hander on the run to Forrest’s Elbow. I don’t really know what he was doing. It spun me backwards into the wall. He hit the wall as well and ripped the front out of his car and that was his race done. He tried to blame me for it too. It was terrible, but was one of those things. 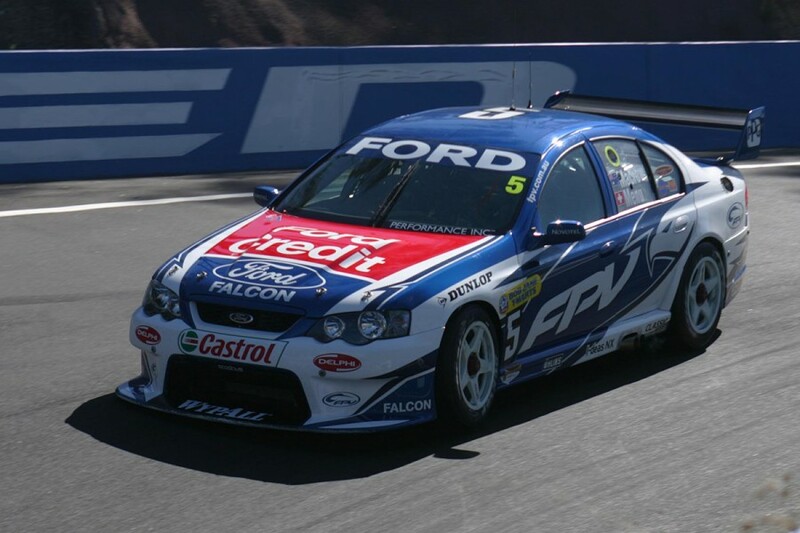 In 2001, you drove at Perkins Engineering before switching to Ford Performance Racing, sharing with Darren Hossack in ’03 and Alain Menu in ’04. But 2005 was the year it all started to come together for you – a drive with Howard Racing in the Development Series and an endurance gig with Triple Eight alongside Steven Ellery. Alain Menu and I got along really well in 2004, and he had put a quiet word into Roland [Dane] which was handy, and that helped me get the drive with Howard Racing in the Development Series in 2005. We were going well. We led the championship until Tony D’Alberto T-boned me down the end of the back straight at Mallala. An engine mount broke on my car and an oil line came off and Tony slipped off the track on my oil and straight into me. It destroyed the car – the car was like a banana! We ended up finishing fourth in the championship, but the silver lining was that we were forced to get a new car, so Howard Racing purchased the first Ludo Lacroix-built Falcon [from Triple Eight] to finish the 2005 season. And that obviously took me to the championship in 2006 as well. 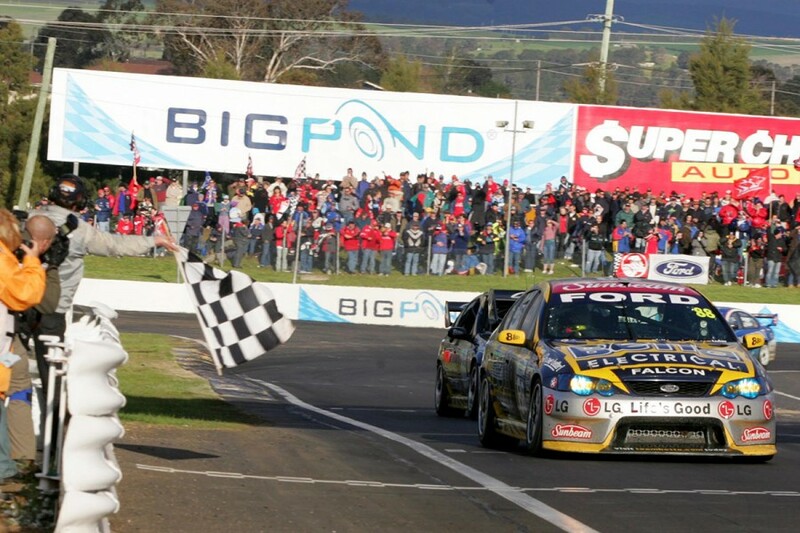 The 2005 season wasn’t all bad, of course, finishing third at Bathurst with Steve [Ellery]. It was a great car, an experienced co-driver and I’d done the full Development Series, so I was really up to speed. We just cruised around all day. For most of the day I had Jamie Whincup behind me and Todd Kelly in front of me. We did the best we could, the car was faultless and it was a great day. That led into the 2006 season and winning the Development Series. What are your memories of that? The reverse-grid races were interesting back then, but really, I had a simple formula for that year – just do my best in qualifying, run my own races and in the reverse-grid races, just get as far up as I could without putting everything on the line. It was a pretty competitive field that year, too. 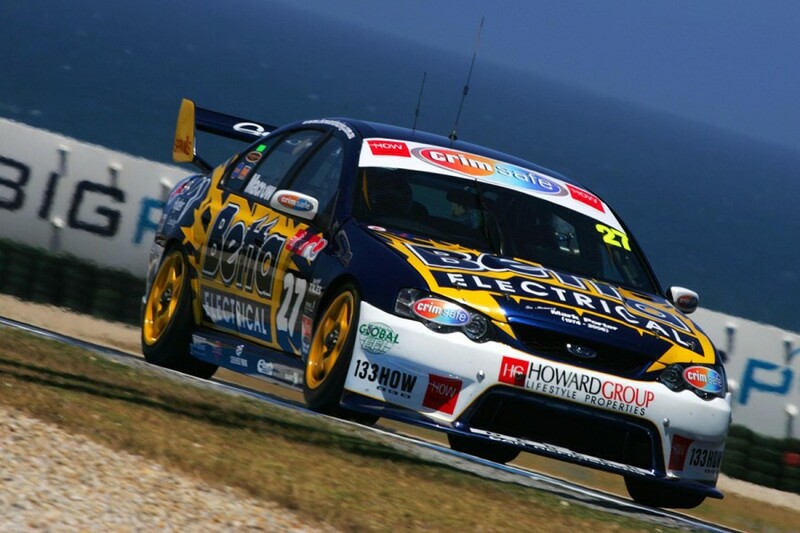 We had both of the Perkins cars – Shane Price and Jack Perkins – Michael Caruso was there, Tony D’Alberto, Andrew Thompson. There were some good drivers and cars there. Our car was awesome, it was an amazing chassis. I know we were a little down on horsepower, but everything else was great. Yeah, I wish it had just bucketed down just before we came in to pit. Then we would have put on wets and we would have been on a level field. 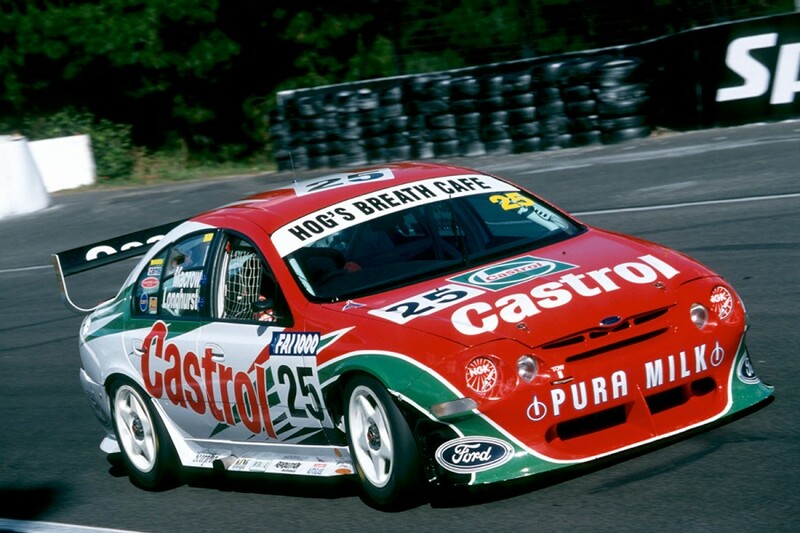 A lot of people talk about how we put on new, cold tyres and that cost us, but really, Brighty wasn’t the only one who crashed at the top of the hill – [Mark] Skaife and [Russell] Ingall were also in the wall. Obviously, they were pushing at the end of an important race and those things happen. But that was a heartbreaking day. I’ll never forget it. I knew a podium was on the cards, at the very least. It would have been great for Jason and his own team to achieve that but it was not to be. 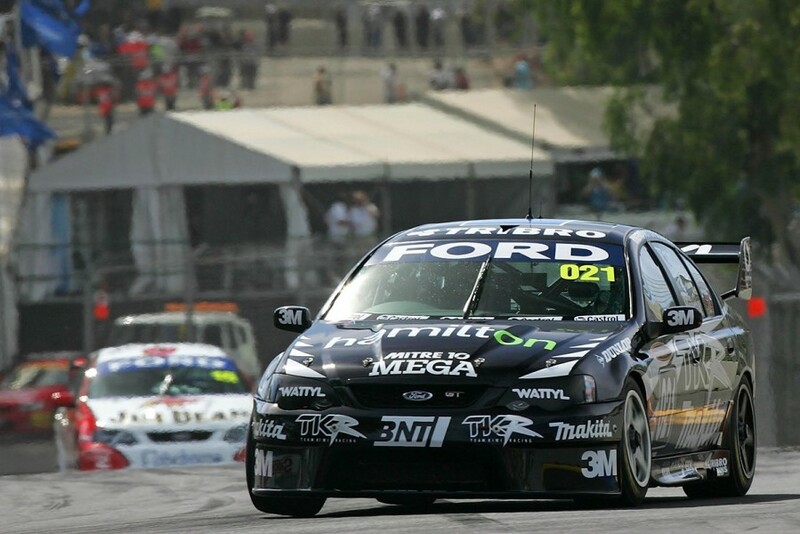 You only got one opportunity in the main series as a solo driver – Adelaide 2007 in the FPR-prepared Team Kiwi Falcon filling in for the injured Paul Radisich. Tell us about that experience. 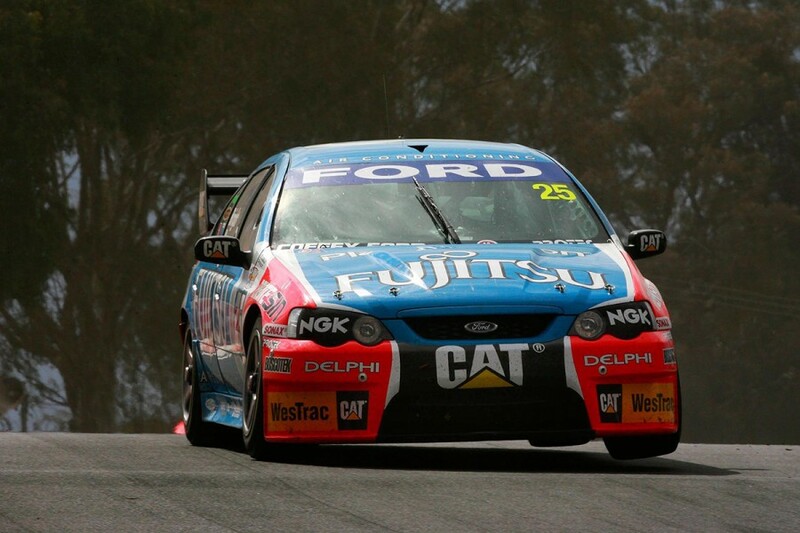 I did the Clipsal 500 with Team Kiwi, and that was one of the best experiences that I had. It was a good car, good team; it was a car all to myself for the whole weekend. It was great to tune it over the weekend, long races – just a great experience. I think we ended up 15th or something after Sunday’s race. We moved through in the races, and in the Sunday races I think I did the second-quickest lap of the race. The deal came together really late, and I hadn’t done any laps in that car before the weekend, but it was a great experience.